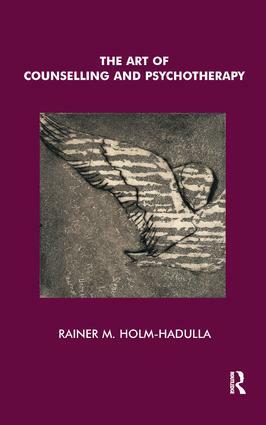 This book derives creative principles for counselling and psychotherapy from practical modern approaches in these fields, as well as from psychoanalysis, hermeneutics, and new concepts of creativity itself. The creative attitude central to this represents an integrative basis for the differential application of various counselling and treatment techniques. Creative counselling serves to assist in coping with distress and clearly defined conflicts, and encourages personal and professional development. Creative psychotherapy is an aspect of dynamic, analytic and integrative psychotherapy. The hermeneutic principles - memory, narrative shaping, interactional experience - are activated with a view to ridding patients of psychopathological symptoms. In the modern world with all its challenges, creative counselling and psychotherapy are of outstanding importance. The Art of Counselling and Psychotherapy outlines a readily understandable, vital, and creative approach to the practice of counselling and psychotherapy in the service of the development of personal and social creativity.